Capsule Titan, Analog Synth Rack/Sound Module from Eowave. 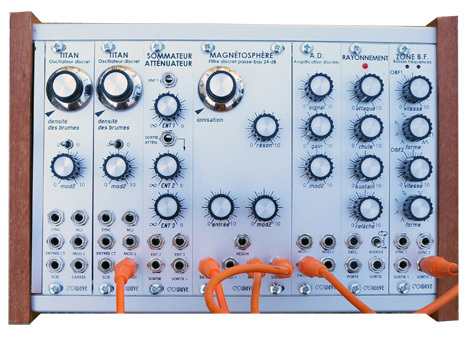 Analog modular synthesis fans can now have a look at Eowave where the new Capsule Titan has just been introduced. All the modules are installed into an aluminum and wooden half-rack enclosure with the MIDI interface and ship with 10 patch cables. Full details of each module are available at www.eowave.com. Audio Damage gets into modular hardware By popular request and for its 10th anniversary, Audio Damage converts some of their plug-ins into modular hardware. Pre-Order the Analogue Solutions Polymath Analogue Solutions announces that you can pre-order now its Polymath modular synth. Yamaha unveils the MOXF workstations Yamaha will update in december the MOX Series with two MOXF6 and MOXF8 workstation keyboards.